SAG new display room is just about ready! Opening in March 2019 stocked with Sachar Amos hand crafted classical guitars, the new display room will offer you the chance to come and test try all my available guitars that are for sale. New stock includes models featuring cocobolo rosewood, European maple, Indian rosewood and Wenge Back & sides with European Spruce or Cedar soundboards. 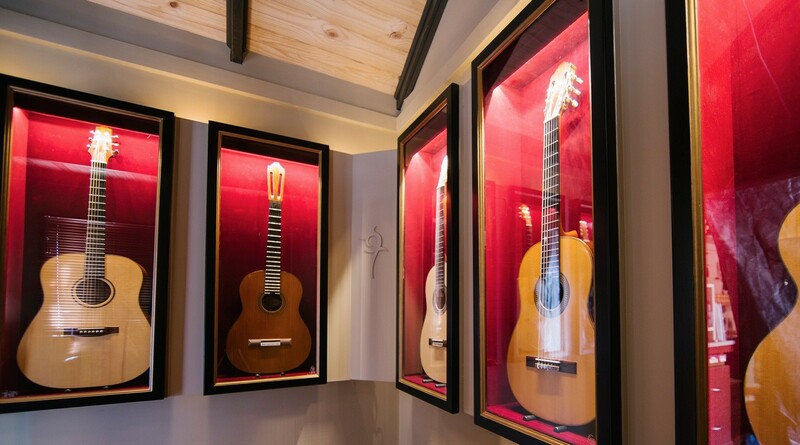 The new display room will provide a relaxed environment to test play my guitars without distraction, enabling players to tune into the qualities of the guitars they are trying. Open every Saturday by appointment, bookings are essential to ensure that you have the room and instruments to yourself.